Six Port Washington branch trains, two in the morning and four in the evening, will be canceled. Several LIRR trains that had been canceled or rerouted since January because of Amtrak repairs at Penn Station, are about to return, but six other trains will be canceled for the next six weeks, the railroad said. The service changes are part of the LIRR’s latest timetables, which take effect Saturday, and will last until Sept.1. The restoration of some trains after seven months of disruptions comes as Amtrak wraps up various infrastructure renewal projects at Penn Station that began in January. The work necessitated keeping some tracks closed at the busy Manhattan terminal and reduced the LIRR’s capacity to run trains there. Two morning westbound trains and three evening eastbound trains that had been originating or terminating at Atlantic Terminal, Hunterspoint Avenue or Jamaica since January, will return to serving Penn Station, including trains on the Babylon, Far Rockaway and Hempstead branches. As well, two eastbound evening rush trains — one each on the Port Jefferson and Port Washington lines — that have been canceled since January will be restored. Some other trains that have made additional local stops since January to accommodate customers affected by other service changes will return to running express. At the same time that the LIRR is restoring some trains, it is taking others out of its schedule to accommodate work related to its $11.2 billion East Side Access project, which aims to link the railroad to Grand Central Terminal by 2022. To create space for an entrance to a newly bored tunnel to Grand Central, crews will have to relocate hundreds of feet of tracks in Sunnyside, Queens, by several yards, the LIRR said. MTA Chief Development Officer Janno Lieber called the track relocation work “real, tangible progress at East Side Access.” After the tracks are relocated, the construction of the tunnel entrance, set to begin this fall, is the last major contract in the project, which began more than a decade ago. As a result of the work, the LIRR will cancel six Port Washington branch trains — two in the morning and four in the evening. One morning train on the Far Rockaway/Long Beach line and another on the Montauk branch will also see some schedule changes because of the work. 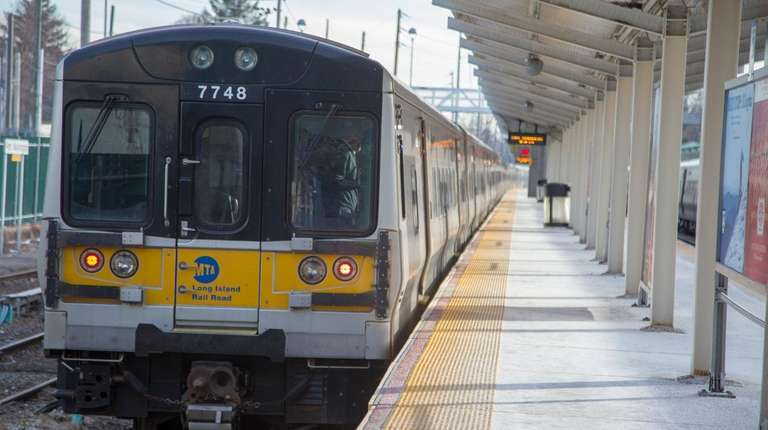 LIRR president Phillip Eng said the work was taking place in a “compressed time frame” of six weeks and during the summer months, when rush hour ridership typically dips. “I thank our customers for bearing with us as the MTA makes this historic improvement to the railroad,” Eng said. More information on the schedule changes is available at mta.info and all of the LIRR’s digital platforms.